I’ve been knee deep scouring all the information available on tanking. I researched (again) what Killona’s first dungeon pick will be. 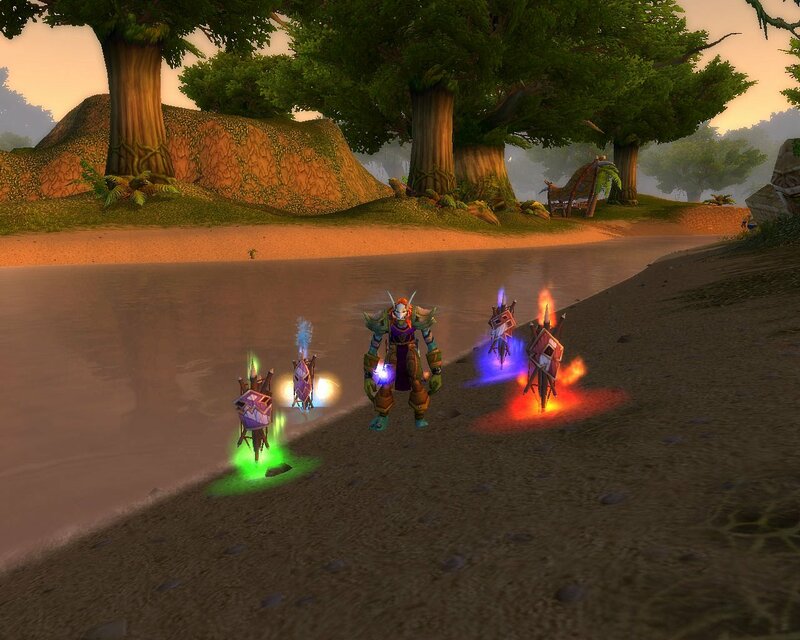 Even had Aygaren take a quick run through tonight just for visual reminders of where everything’s at. Things are looking good for Killona to go soon. I was tagging along with Nokila in the Ghostlands, while chatting with a friend about dungeons and the sometime chaos that ensues, how it’s hard to see everything going on. 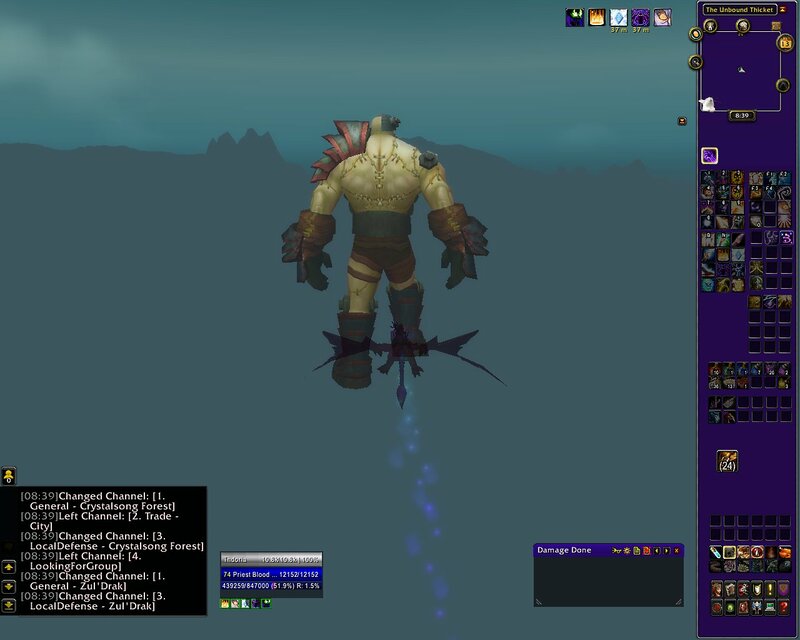 I had mentioned about a console script that could be typed in which allows for greater viewing distance, the ability to zoom out and see more area around you. I happen to have mine set to “45”, two examples shown. This got me to thinking briefly about the coming patch, and some of the UI changes coming with it. Looking at my own, which I’m quite happy with, I got to hoping none of the various add-ons and such become “broken” with the patch. Of coarse, these things do happen with major changes in the game. I just gripe to myself a lot each time they do. Always frustrating and a bit time consuming to go through and update each one, and then put everything back in their proper usual places I’ve become attached to seeing. Kanara had been released from the crew. The Orc wasn’t making it as a Warlock, something about her just didn’t seem to fit. So in stepped Nokila. Very young as yet, but quite devious under the surface. Beneath her Blood Elf charm and beauty, she has this sinester little laugh while she’s setting you on fire and tossing shadow bolts. This Horde crew runs a tight ship, so she’ll have to really prove herself. Other somewhat exciting news. Yesterday I noticed that Blizz was downloading 21 gigs of information. The downloader said it was for a coming update. Hmmmm? 21 gigs? Makes me wonder if it’s the Theramore lead in for Mists. I think it is getting to be about that time. Maybe? Usually I don’t notice these background downloads, but things were acting kind of hinky in game, which did get my attention. Don’t you just love it when strange, unexpected things brighten your day? Bazzel (the Troll Shaman), and Kanara (the Orc Warlock), have dominated the last three days of gameplay. And for good reason since they happened to be the lowest level members of the crew. Although unintentional on their handlers’ part for this ‘condition,’ Kanara began to quite loudly protest her lack of leveling love. She also made some rather dark suggestions as to the possibilities of her behavior if the ‘condition’ was not soon rectified. Consequently, she was allowed to run rampant over the weekend, which she took to heart and deadly hands. 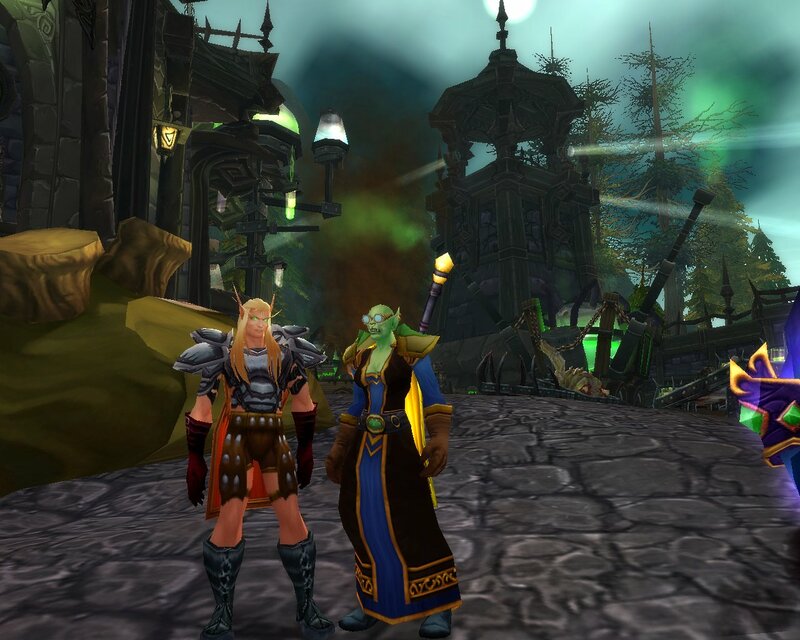 Hillsbrad, may never be the same again. So glad Kasha found a new home she can roam at will! Bazzel, on the other hand, was rather patient and lightly mixed with persistance over his time. Having to wait on a warlock of all things, he approached his time with the cunning and fervor required to match Kanara’s rise. And, it only took half the time it took Kanara. Bazzels’ been a bit camera shy, but managed to hold still long enough to applease me. A much younger Bazzel-he still hangs on to this robe for possible use. On one final note about bringing up all these alts. I recently came across an interesting video which left a rather large and unique impression with me. 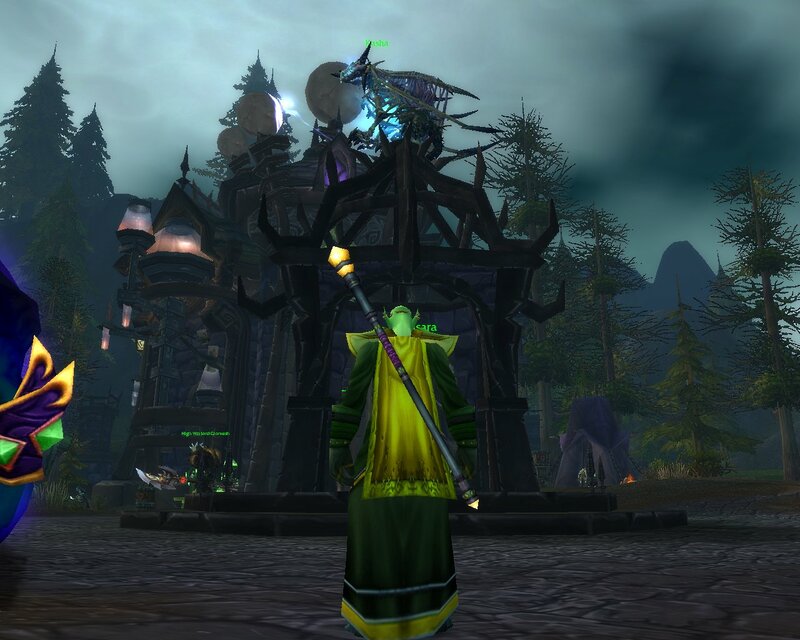 (hopefully I’ll find it again before I finish writing this) What impressed me most, was the enhancement shaman. Six seconds of pure burst damage output. To me, this was nothing less than amazing. Now then, having never played an enhancement shaman, you can imagine the impression this video left on me. 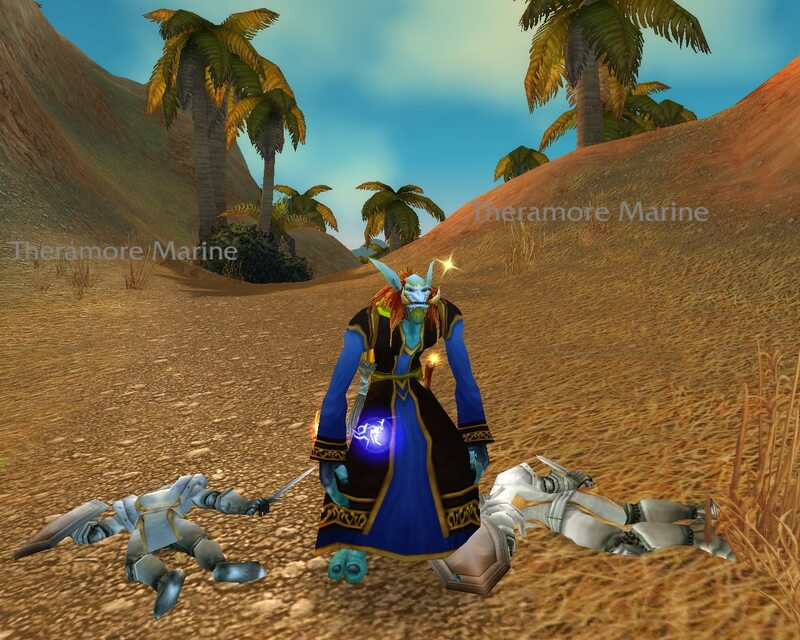 Aygaren was my first successful go at a melee class, well, mostly successful. I am now wondering if Bazzel will be my ‘golden ring.’ Perhaps. As always, time will tell. Enjoy your game(s), whatever they may be!